Returned to the Earth of 2037 by the Firstborn, mysterious beings of almost limitless technological prowess, Bisesa Dutt is haunted by the memories of her five years spent on the strange alternate Earth called Mir, a jigsaw-puzzle world made up of lands and people cut out of different eras of Earth's history. amazing book. I strongly recommend it! I love time travel novels. The first in this series was more time travel related. This book was very informative about the sun. Good but not great. 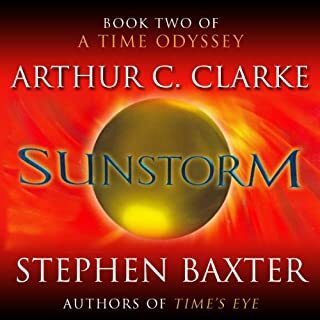 Would you recommend Sunstorm to your friends? Why or why not? Yes. It's part of the series. 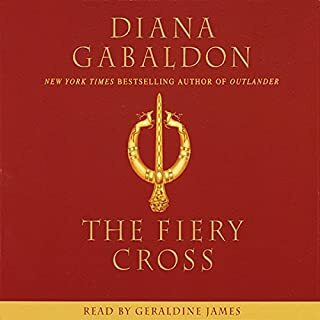 The Fiery Cross is Diana Gabaldon's fifth novel in her award-winning Outlander series, featuring 18th-century Scotsman Jamie Fraser and his 20th-century time-traveling wife, Claire Randall. I agree with most of the reviews of this book. The abridged version of any Diana Gabaldon novel is like watching half of a great play. Please discontinue putting abridged books on Audible. The Unabridged version of this book has been published, GET IT. 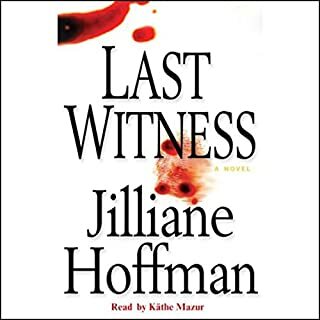 This has been the worst purchase by me on Audible.com. I don't know why this was published without Davina Porter. 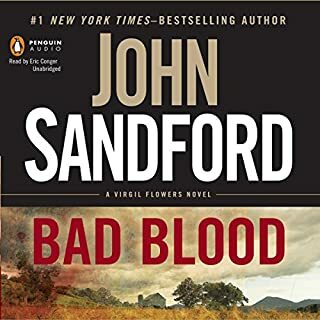 Virgil Flowers is like reading the old John Sanford Prey Books. The new Lucas Davenport novels have taken the fun out of the reading for me. I will buy all the Virgil Flowers books I can get my hands on. This is a believable plot due to stories that have appeared in the news over the past 4 to 5 years. In the 10th year of the Change, the survivors in western Oregon have learned how to live in a world without technology. They have held the Lord Protector, Norman Arminger - the warlord of Portland - at bay. The tensions between these factions have been building for some time, and the only reason they haven't confronted one another on the battlefield is because Arminger's daughter has fallen into Clan Mackenzie's hands. But Lady Sandra has a plan to retrieve her, one that may spark open warfare. A proper end to the first part of the change. 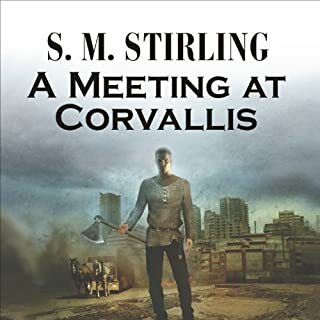 I have listened to 7 books in this series and can't wait for the next one "The Sword of the Lady" which is supposed to be released in September 2009 in Audio format. I hope Audible.com has it as soon as it is available. Rudy Mckensie has the best of Mike Havel and Juniper Mckensie and keeps the story line moving ahead. I highly reccomend this series. 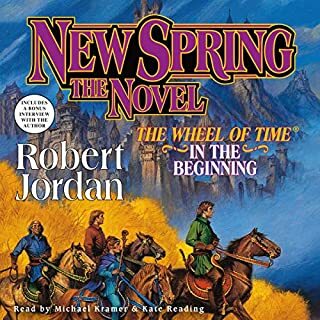 This is the shortest Robert Jordan book I have listened to. Honestly, I wish it was longer and continued right up to when the first Wheel of Time novel (The Eye of the World)started. A madman is stalking women in the city. By the time his victims are found, they've been dismembered with careful precision, their limbs stacked into a gruesome pyramid and completely cleansed of every last drop of blood. Accustomed to working on the most grisly homicides, detective Frank Quinn's nerves don't rattle easily. But when the last names of the killer's victims spell out "Q-u-i-n-n", the veteran cop feels a chill run down his spine. 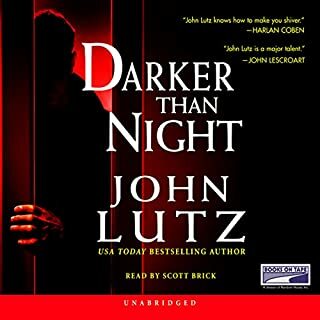 Some didn't like this book, but I am a huge John Lutz fan and this is one of his best in my opinion. The character Quinn is believable. Lutz has been around for a while and all of the books I have read so far are about retired cops coming out of retirement to work again. I am also a huge Michael Connelly fan (Harry Botch) and this is one of the reasons I like this author. Cops are dying. Hunted down while on patrol, they are being murdered while trying to protect the citizens of Miami from this very type of crime. Dominick Falconetti, an agent with the Florida Department of Law Enforcement, is charged with heading a task force to investigate. Details at the crime scenes point to a drug connection, and when a highly-placed gang member disappears, it reinforces Dominick's suspicions that these cops were all involved in something unsavory. The characters are real. Ms. Hoffman's experience as a prosecutor is obvious and very easy to follow. The ending was a little bothersome but I loved it anyway. 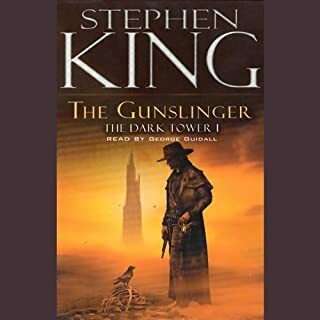 Eerie, dreamlike, set in a world that is weirdly related to our own, The Gunslinger introduces Roland Deschain of Gilead, of In-World that was, as he pursues his enigmatic antagonist to the mountains that separate the desert from the Western Sea in the first volume of The Dark Tower series. Roland, the last gunslinger, is a solitary figure, perhaps accursed, who with a strange single-mindedness traverses an exhausted, almost timeless landscape of good and evil. To me, this is not the best of the seven Dark Tower books but without it we couldn't have the rest. I'm glad Mr. King decided to finish the series. I have read them all and listened to them all. My earlier version of this audio book was read by Stephen King and I wanted this one mainly because of the narrator. I'm going to listen to them again because I can't get enough of Roland and his travelers. Ex-homicide cop Frank Quinn is still reeling in the wake of an elaborate setup that ended his career, but a new case presents a chance to salvage his reputation. A killer dubbed "The Night Prowler" has begun terrorizing the citizens of New York City. With the body count climbing, it's up to Quinn to unlock the mystery of a madman's past and end his bloody reign of terror. But in the city of New York, any one of eight million faces could be that of a killer - or his next target. 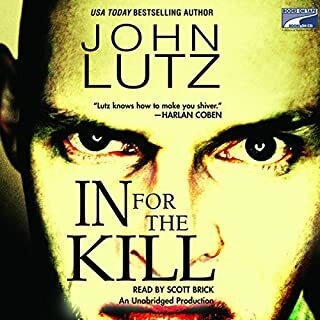 This was my first read of a John Lutz Book. I mainly ordered it because of Scott Brick. I was not disappointed by either. I did not figure it out until the very end although there was quite a bit of misdirection on the author’s part. Anyway, I will continue listen to Lutz and definitely continue to listen to Scott Brick.